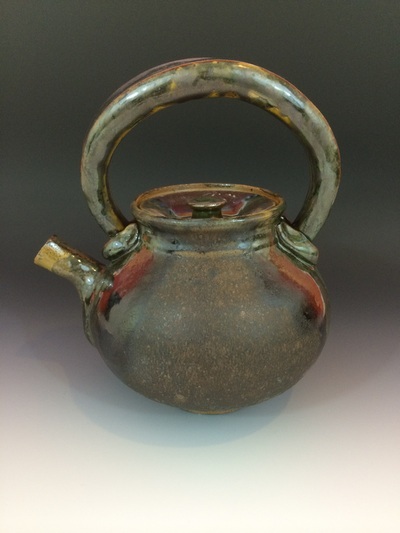 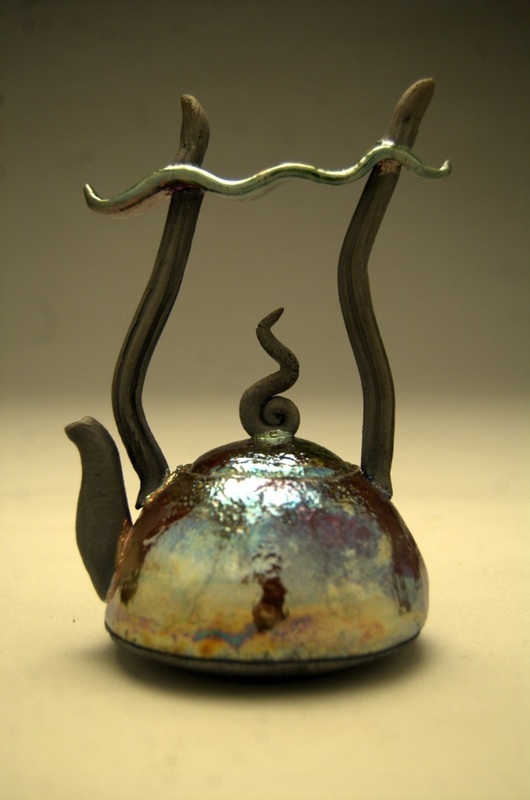 "Teapots are one of the greatest challenges for any studio potter. Many elements go into their production and all the parts—the body, lid, handle and spout—need to fit together into a cohesive whole. 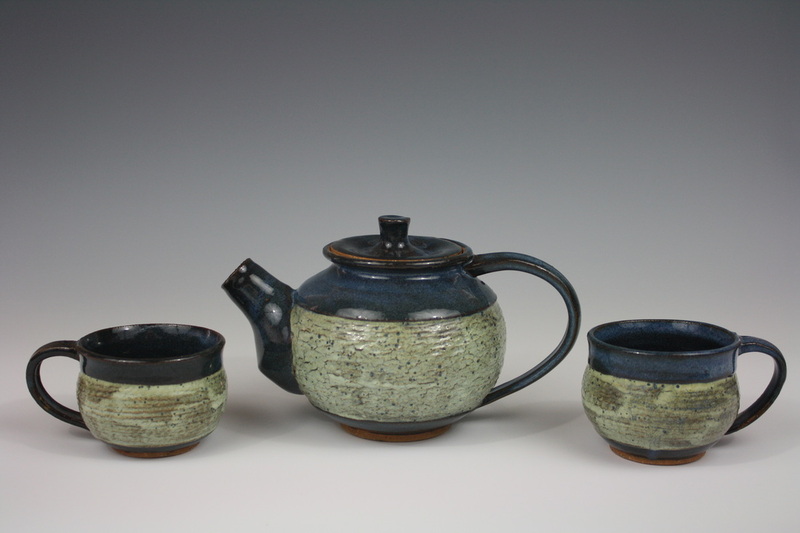 For centuries, teapots have been produced in myriad ways and forms, and like many potters, I initially began making teapots on the wheel. 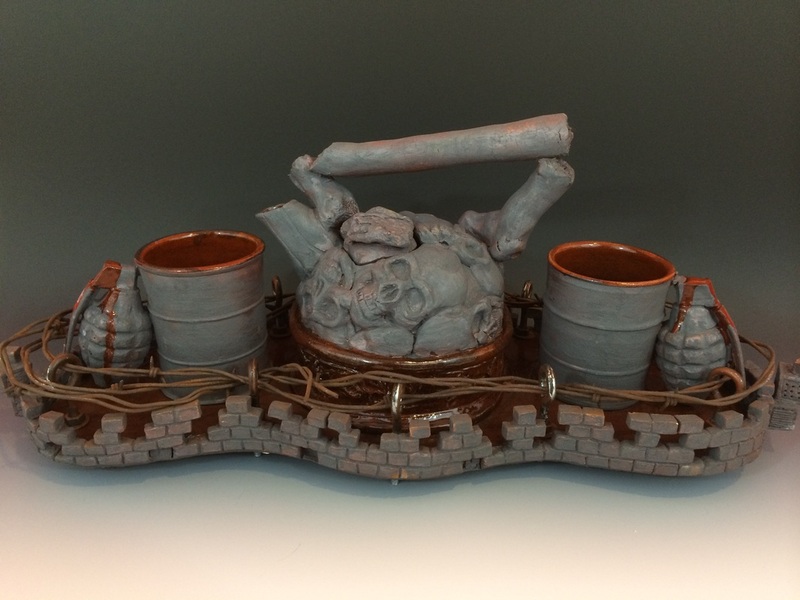 But throwing and putting the parts together was a challenge for me because the forms were too mechanical so I began to experiment with hand-building. Since I’ve done a lot of hand-building using hump molds, this seemed the logical path to take." Draw four 4"x4" boxes in your sketchbook. 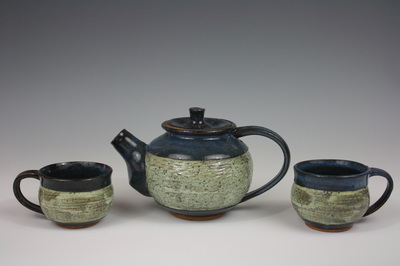 Sketch out four different ideas for the form combinations of the body, handle, spout, and lid. 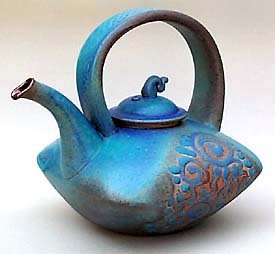 Unity: Your teapot should be show a good sense of unity. Variety in Texture: add textural elements to the surface of the teapot. 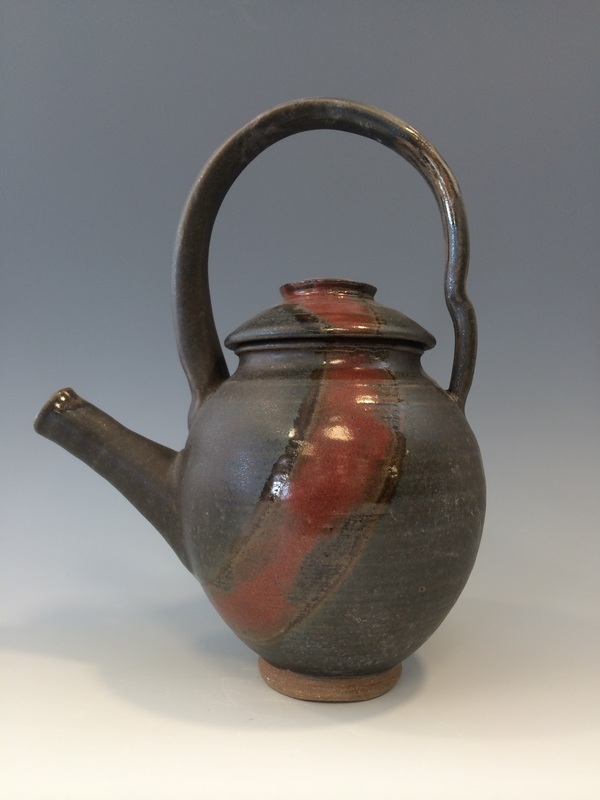 Consider how the texture of the handle feels in contrast to the body. 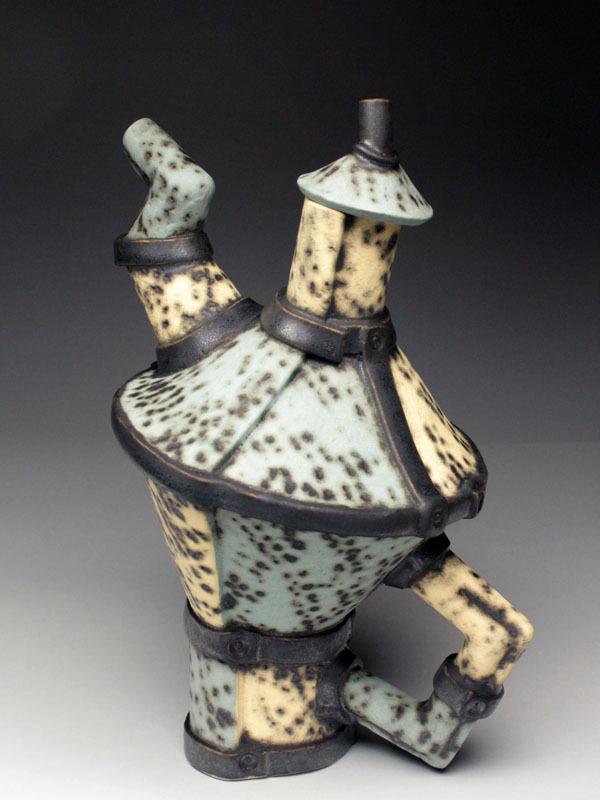 Must have trimmed foot or sculpted feet. 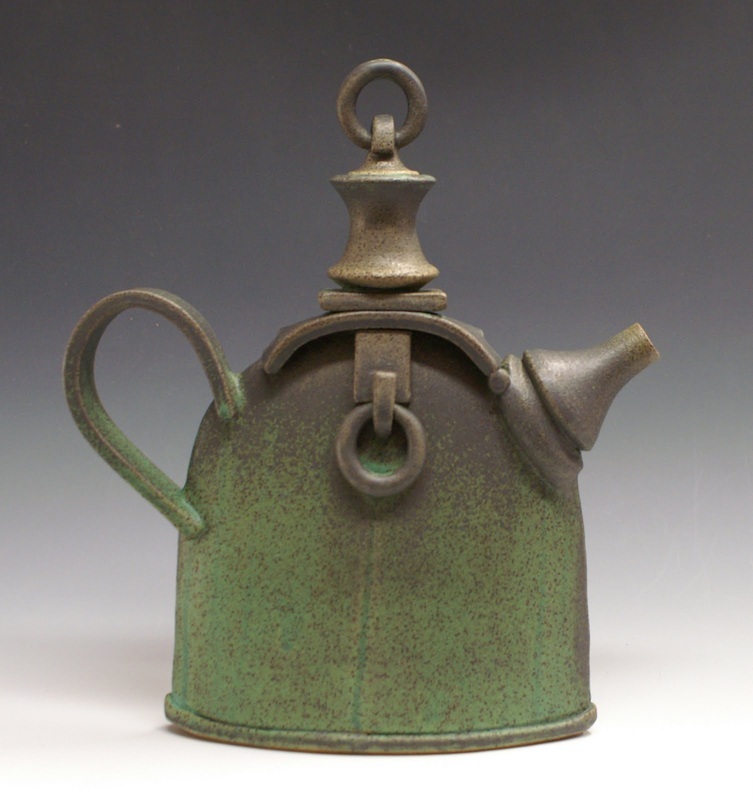 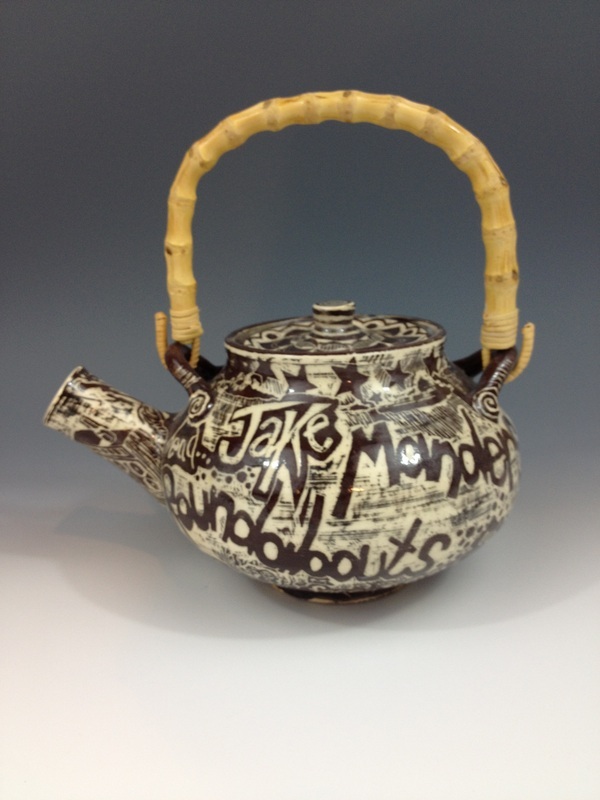 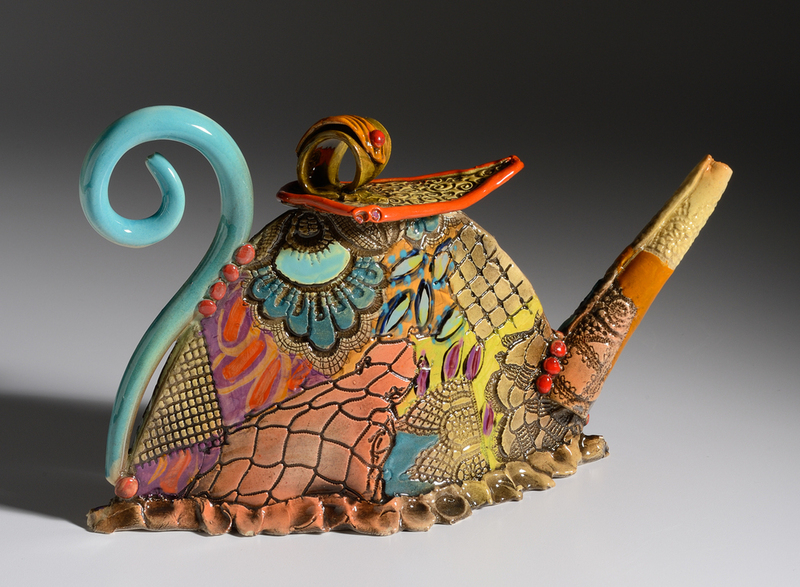 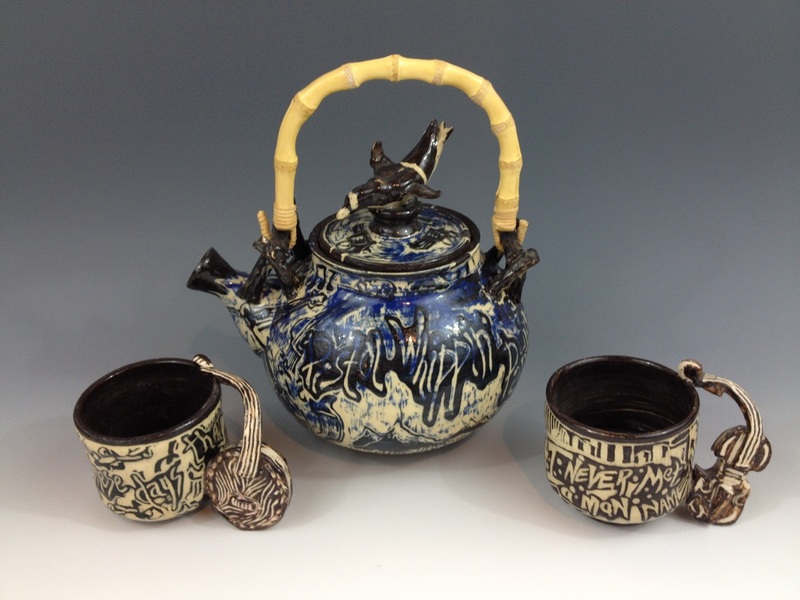 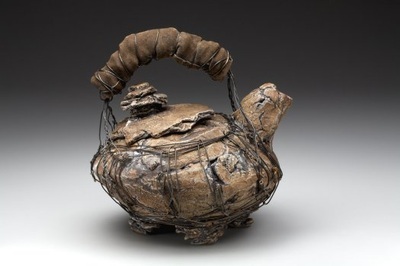 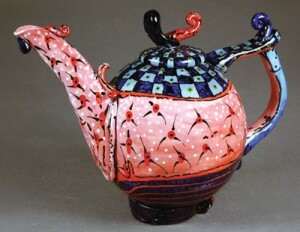 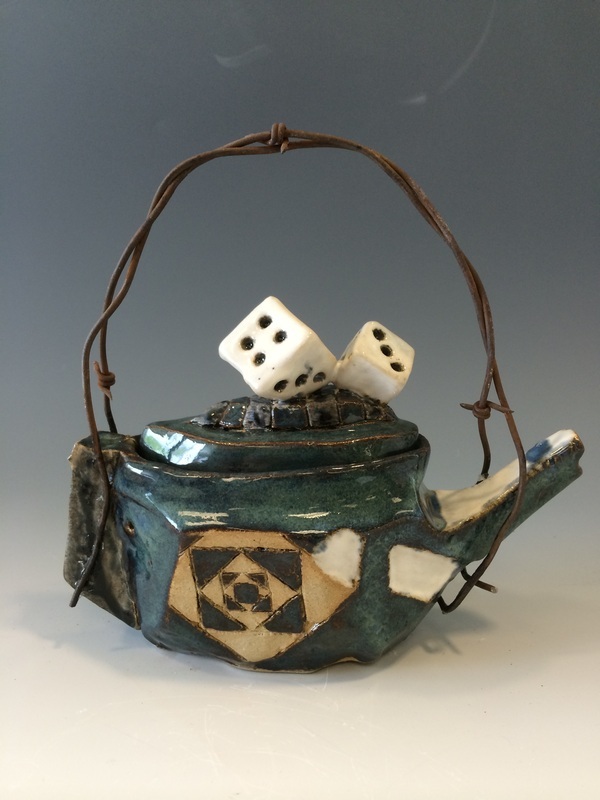 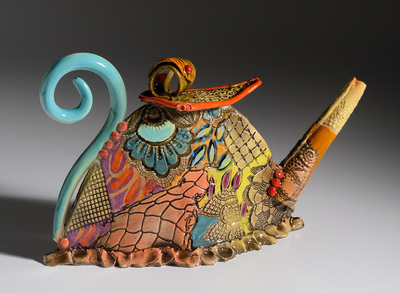 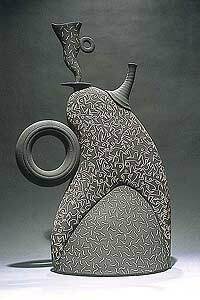 Your teapot should represent a theme: through textural / sculpted elements, through the design, or through the form. 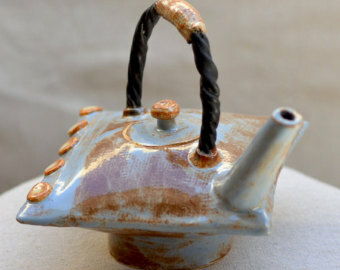 Use the theme generator below if you have trouble designing your theme. 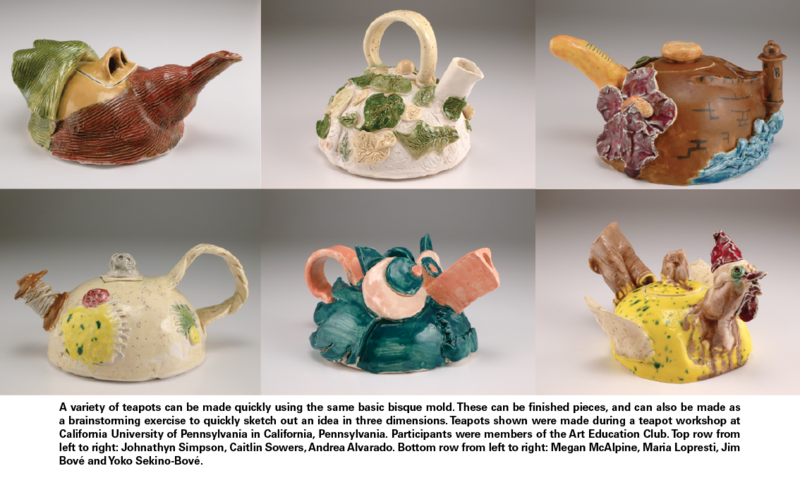 Answer the following prompts from the provided worksheet form on one of the master teapot works below. 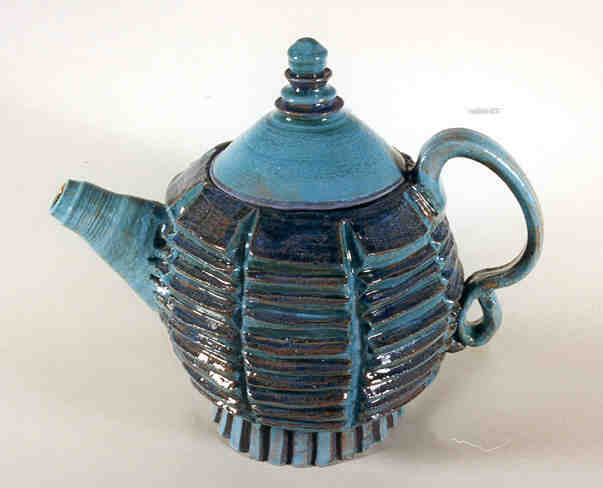 Or click on the Schoology Link and post your comments that way.